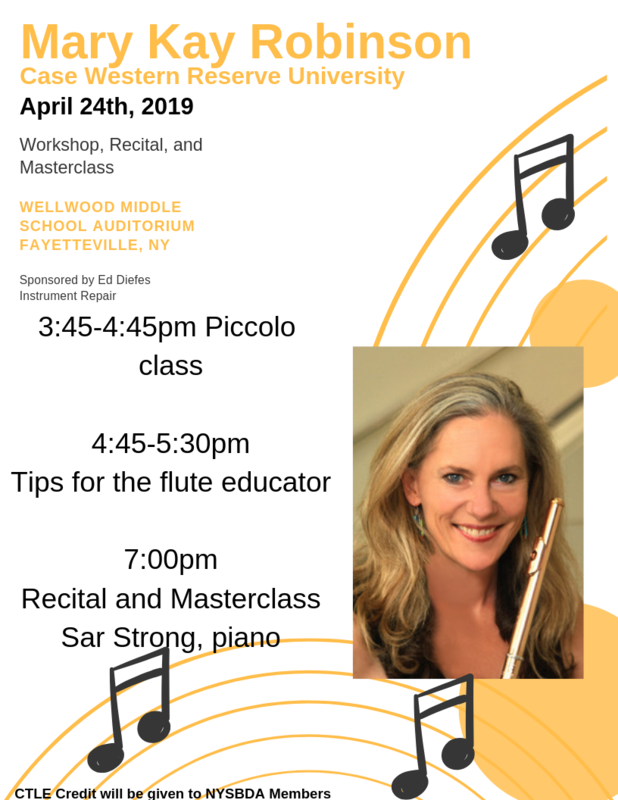 Recital and Masterclass at Fayettville Manlius — MKR. I’m very excited to be returning to my old stomping grounds to hear the aspiring students at F.M. and meet their wonderful teachers for a Piccolo Class. Concert will feature the music of William Simon, Lowell Liebermann and Francis Poulenc with pianist Sar Strong. Special Thanks to the terrific instrument repairman, Ed Diefus for his sponsorship.